Insurance agents cringe at this game. I mean, they run in abject fear of this game. You gotta enjoy a game that employs a crash mode that tallies up the total damage you cause in dollars. Beyond that though this game is just a plain old hoot and scream of a good time to play. 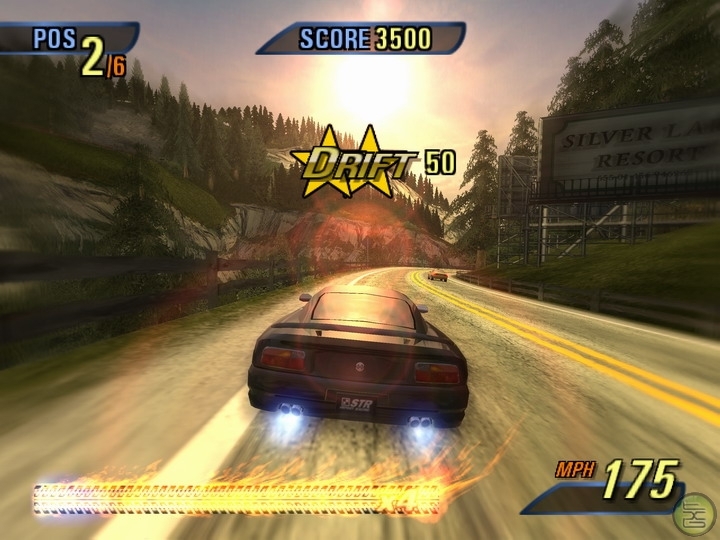 The feeling of speed this game can give you is addictive. I'm still working on unlocking more cars and tracks, but so far I can tell you I may actually unlock way more things here than I ever did in Gran Turismo 3. Unlike the before mentioned game, there are no real brand names here. The cars do resemble some brand names in passing. It does not need them. If you like to have party games, this one is for you. Every time I throw a party at my house. This is the requested game. (in 2005 anyway) The crash modes are a hoot. Also, this game is easy to play and can be picked up by even the most non-gamers in your crew.